Free Shipping - Modern 60" Clear Double Glass Vessel Sink Top Solid Wood Cabinet Set. 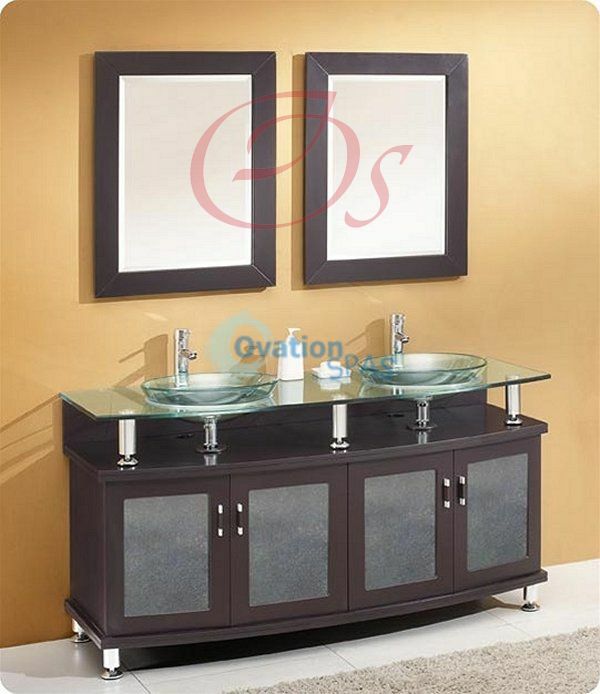 This modern style single-sink vanity set features abundant storage with four doors. NOTE: This vanity included one long mirror, not two small mirrors in the picture. 59.1" x 22" x 33.5"